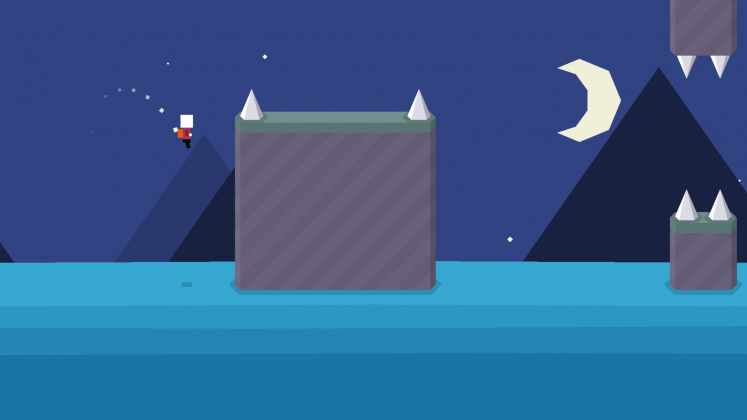 Mr. Jump was a widely popular game on iOS, and it’s finally made its way over to Android. 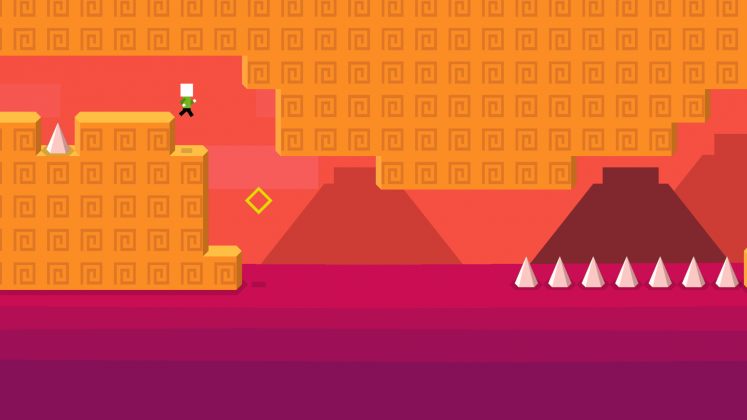 Mr. jump is a simple game with a charming aesthetic and challenging platforming that will surely keep you coming back. 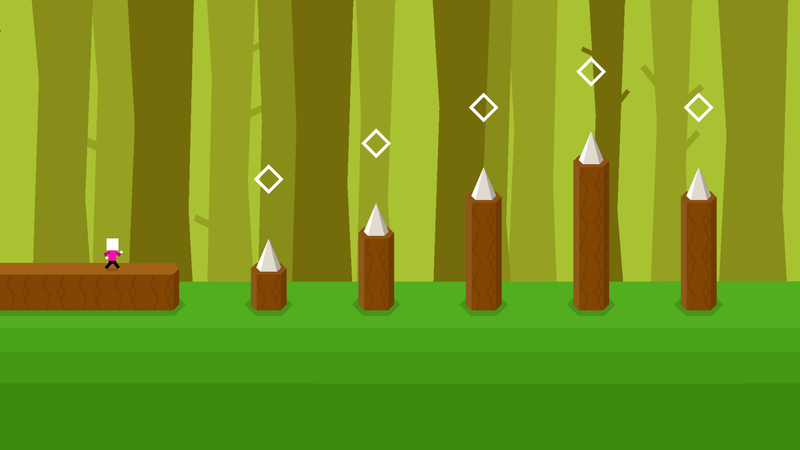 Mr. Jump is one of those games that you hear about a lot as an Android user, not privy to those iOS exclusives. It’s a simple, challenging, and addictive platformer that everyone loves and is given heaps of praise. 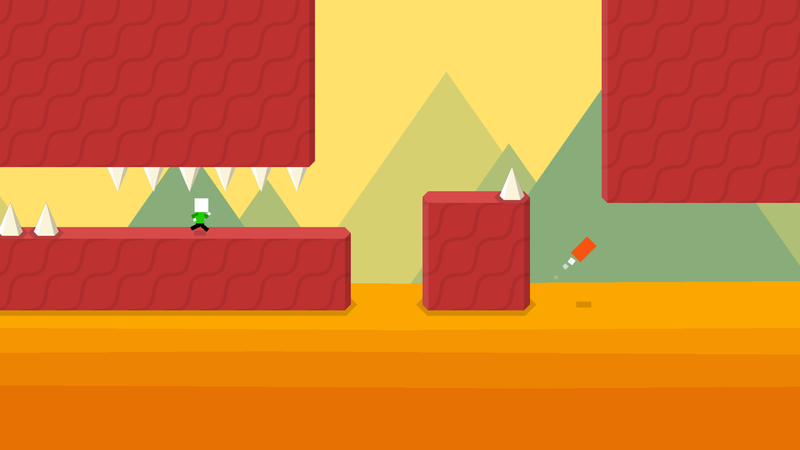 After what seems like all too long, Mr. Jump is finally here on Android, ported over by ZPLAY. 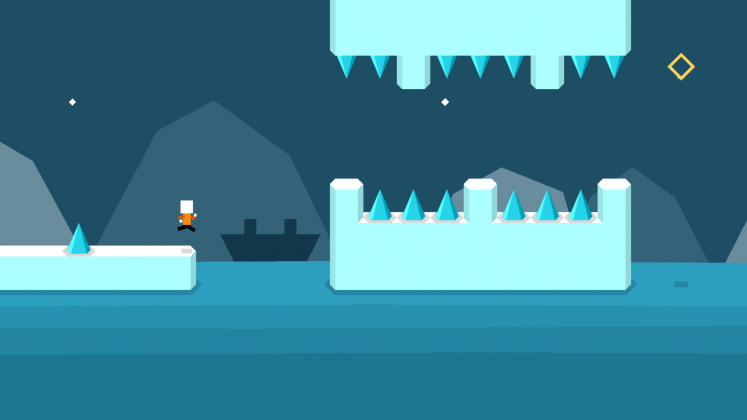 Mr. Jump is a cute, simplistic platformer with one-button controls and a basic premise of getting to then end without dying to advance and unlock the next stage. The game is challenging and does a generally decent job of scaling the difficulty throughout its many levels. 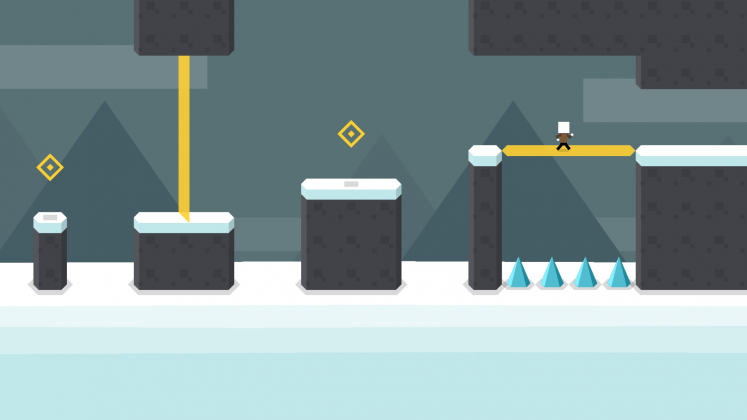 The trick in Mr. Jump is timing and quick thinking, and it can get very difficult in later stages to execute perfectly every time. There are different power-ups in the game as well, to help you navigate the many obstacles, which include jetpacks and infinite jumps. There are also secret areas that allow you to bypass levels and unlock even more. The secret to Mr. Jump’s success is rooted in simplicity. The graphics are blocky, and feature bright colors and patterns pleasing to the eye. The sounds and music are fun and jaunty without getting distracting, and overall the game looks and feels great without being overly cutesy or too bland. The developers have really done a good job of making this game play well as well and look good, and it’s evident by the success it has achieved on iOS. Mr. Jump on Android runs well, with no performance issues that I’ve experienced so far. 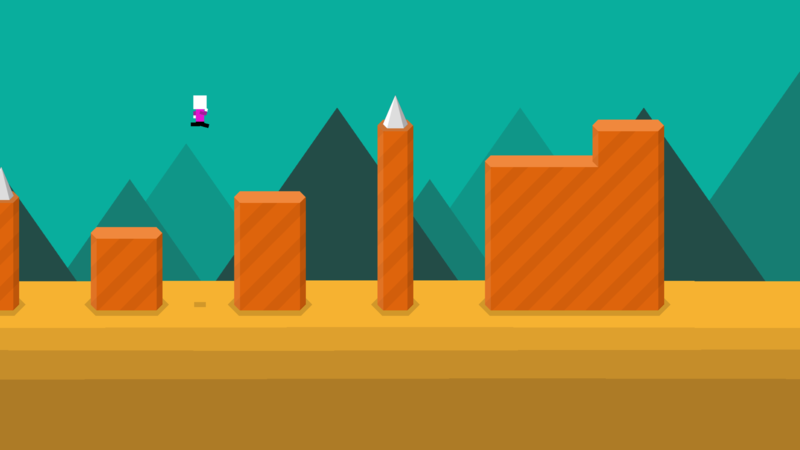 Overall, Mr. Jump is just a very solid game to play. That being said, I do have an issue with the difficulty scaling in some places. For the most part the game is a decent challenge, but in some levels, including the first one, the game seems unusually hard and I miss jumps that I seem to have timed correctly. I don’t know if it’s just me or if the game is actually that difficult in places, but sometimes Mr. Jump can get frustrating and make you want to throw your phone in anger. Despite that, I still enjoy Mr. Jump and that challenge certainly encourages you to keep trying, until you finally beat that one level that has been plaguing you for days or weeks. Mr. Jump is, in my opinion, a perfect example of a mobile game. It’s simple, yet challenging – engaging, yet not overbearing. Most of all, it’s fun and addicting without being a time-consuming mess. It’s cute and has polish and substance, and just the right amount of infuriating challenge that will bring people back to playing again and again. Mr. Jump checks all the boxes for a great, fun game and I am sure it will find similar success on Android that it has on iOS. 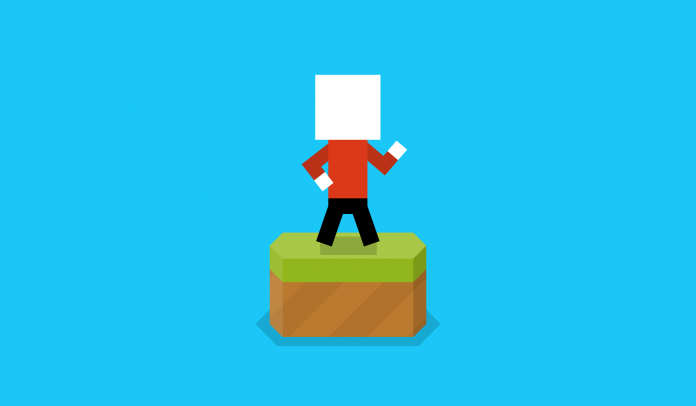 A simple, addicting, and fun puzzle game that is already a hit on iOS, Mr. Jump is the quintessential mobile game, and definitely worth a look.